Miracle Ear has moved from the Sears store at Brookfield Square to The Brookfield Market Place. We are dedicated to excellent customer service and we feel that this new location will afford us the opportunity to better serve our customers. Patients can pull right up to our front door and be treated to a quiet, comfortable, and relaxed environment. We offer free hearing evaluations and a complete line of the very best the industry has to offer in hearing technology. We will be happy to clean and evaluate any brand of hearing aid free of charge. 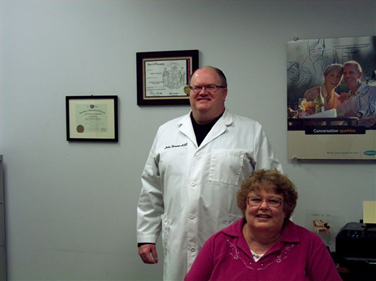 Miracle Ear has been in business for over 65 years and the Southeastern Wisconsin franchise has been owned locally for over 30 years. We feature state of the art hearing systems fitted and serviced by licensed factory trained hearing professionals. Call us at (262) 789-5337 to make an appointment and get a free hearing evaluation. Even if you just have questions about hearing aids or hearing loss, we'll be happy to help. John Dunne (HIS) has over 13 years experience with hearing aids and is dedicated to providing an exceptional experience in our newest location. Please feel free to stop by and say hello.